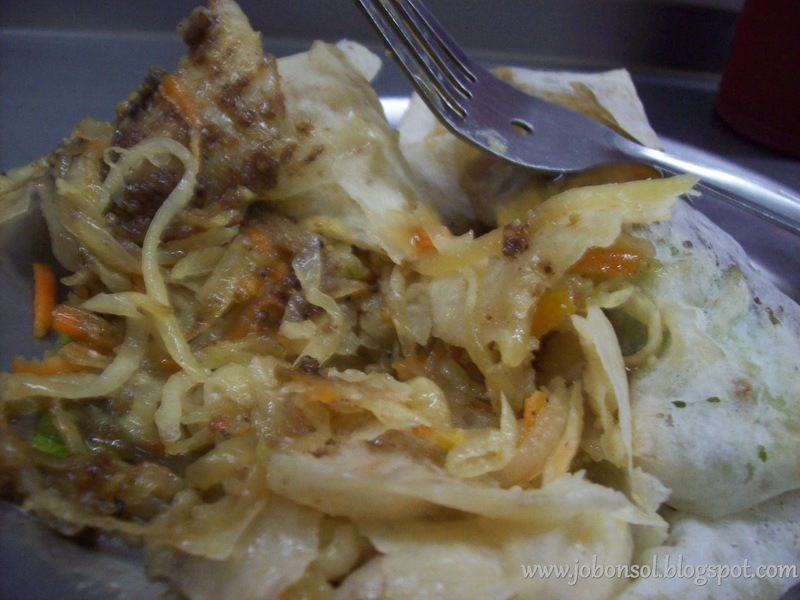 I've known fresh lumpia not with fresh ubod (bamboo shoots) as introduced by my lola (grandmother) in the 80's after going to Sunday Church at Quiapo. 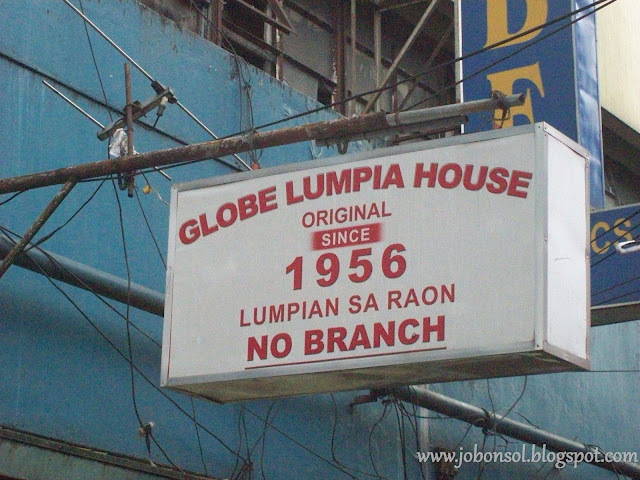 Being that young in the early 80's, I only remembered that Globe's Lumpia House was just a few steps away from the church and my grandmother would always drag me every Sunday when she visited our house. What seemed so big as a serving then is really so small now maybe because I have gotten so old and big. The space is still so small and crowded that diners would line up for a long time to get the meal. Globe's Fresh Lumpia (now sold at P15/pc) is made of fresh vegetables, minced garlic, ground peanuts, ginger and spicy sweet and tangy sauce wrapped in rice paper. 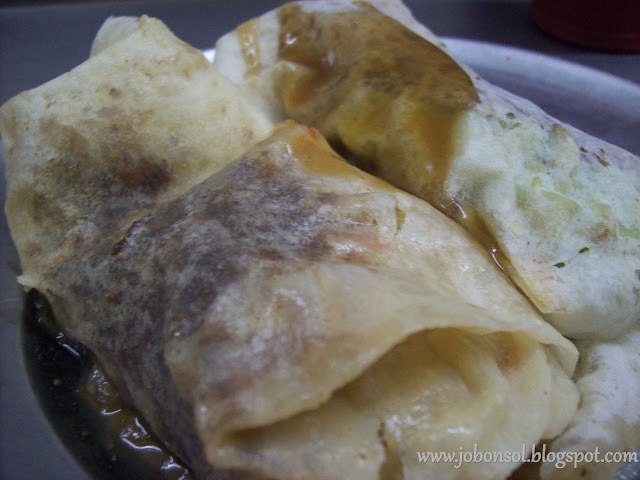 It had been my own personal tradition to visit Globe's Fresh Lumpia House every November or December because I always miss their tasty and delicious fresh lumpia as it had no branch anywhere(although I have tried one lumpia house that seemed to have copied the recipe in Kalayaan Avenue beside Eunilane Supermarket in Quezon City). The taste of the original is really incomparable even to those sold in malls with flavored wrappers. Maybe the experience of eating in a small space filled with workers and holed eating utensils and the smell of fresh lumpia with that classic "Quiapo" ambiance convinced me this is really one special restaurant to respect and cherish. Most of all, my memories of my late grandmother who'd order Sarsi (Pinoy's Sarsa Parilla back in the 80's ) contributed to my attachment to the restaurant that makes me want to go back every year. When my grandmother died, my uncle Albert Razon would drag me here using a bicycle when we were still residing in Manila in high school. From then on, I have brought significant people in my life in Globe's Lumpia House. I've seen them being featured in popular TV shows as depicted in the pictures of celebrities on the wall although they have no branch but in Raon St. in Quiapo, Manila. My mother would really cry and crave for this when she reads this post. 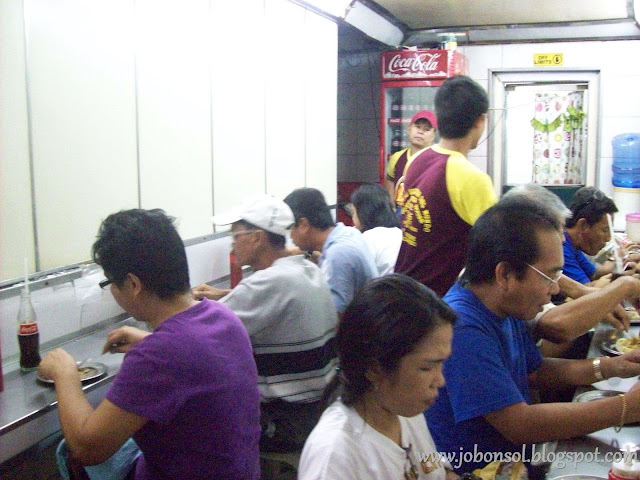 Globe's Lumpia House, the original fresh lumpia since 1956 is located at Raon St. Quiapo, Manila.